We've been admirers of Jay Wheeler's YouTube channel, Short Nerdy Guy, for a while now. Jay has consistently produced geek related content for two years. Currently, three times a week he shares news and views on what he's reading and watching. His show is about 5-6 minutes long -- about as long as our attention span, haha! We enjoy the show, and we think you will too. So, for the month June, we will feature his Jay's quirky brand of cool here at Empire's Open Vault. To get you started, here are two episodes for you to get a feel for the show. Back for more are Jacob, Patrick and Tony. The gents talk about comic book TV, especially the new trailer from Supergirl. Then they get into Mad Max for the ultimate geek gush session. Lastly, as it is to be expected, they dish on what new books they're most excited about for the week. The topic is "death in comics," and Jacob, Patrick and Tony answer the question, "does anyone really die in comic?" Plus, an update on Archie Comics' Kickstarter campaign and what's new in comics this week. Permanent guest host Jacob D. hollers "Podcast Avengers Assemble!" 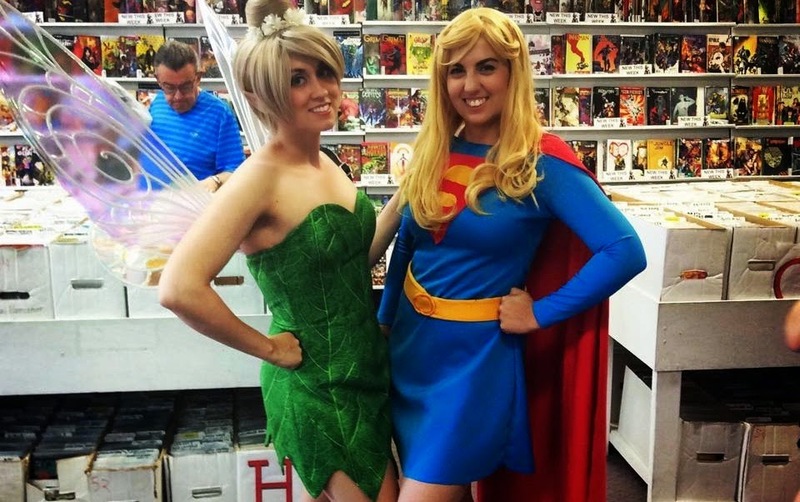 (not really), and they talk about Archie Comics' new Kickstarter, their fave all-ages books, and how they got their start as comic book readers. 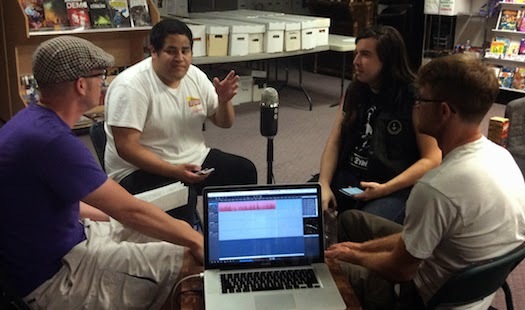 This episodes' "Podcast Avengers" are Kris Saldaña, Tony Asaro, and Patrick Clarke. On August 1, 2014, the Guardians of the Galaxy movie came out. Then we "lost" the episode. 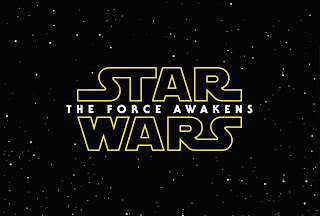 Now, here it is, restored for your auditory pleasure. Ben hosts with members of our Movie Crew: Minnie, Andrew, Ian, Mitchell, Cheyenne, and Mystery Guest. If you'd like to podcast with us in the future, join our FB group, Empire's Comics Podcast Crew. 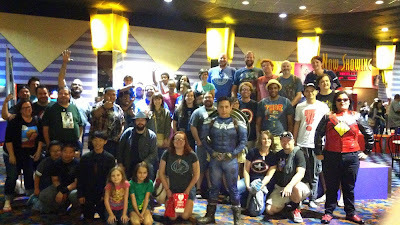 Guest host Jake and Patrick Clarke and Tony Asaro cover highlights from our Free Comic Book Day Mini-Con, discuss under-appreciated comics, and ponder why Marvel and DC don't market their comic books at any point in their movies. Every once in a while, a review is published that would seem to just be beating a dead horse. Everyone knows that Patrick Stewart is going to deliver an outstanding performance in whatever he does. Everyone knows what the next Call of Duty game is going to be like. Sometimes though, you just need to scream it from the rooftops. Sometimes something is so good, that even if you know everyone is going to buy it anyway, you tell them anyway. 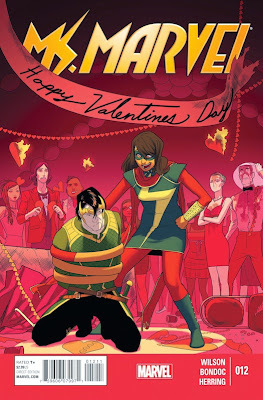 Ms. Marvel #12 is that kind of book. Ms. Marvel has probably been one of the biggest success stories in recent history for Marvel. 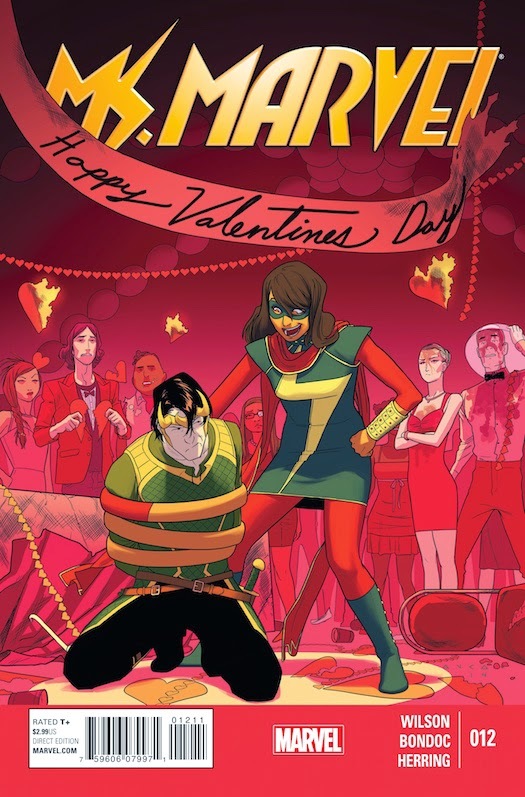 The mix of a fresh new take on a title, mixed with G. Willow Wilson’s pitch perfect writing of main star Kamala Khan, and Adrian Alphona’s great art, that I would put as some of the best of the past year (when he’s actually on the book). The first and second story arcs are collected in the first and second trades trade out now. Issue 12 serves as a great jumping on point if you haven’t had a chance to check out the book. The recap page gives you just the info you need to know the character, and the issue is a fun one-off that doesn’t require much, if any knowledge, of the first arc. Loki “Agent of Asgard” Laufeyson has been sent to Jersey City to investigate reports of evil at the Coles Academic High School, which just so happens to be where Kamala goes to school. What follows is one of the most fun, laugh out loud comics I’ve read in a while. Fill in artist Elmo Bondoc does a serviceable job replacing Alphona for the time being, and continues the Ms. Marvel tradition of fantastic facial expressions. Wilson’s story gives us young love, fights, Asgardian truth elixir, and horse manure: pretty much everything a great comic needs. Go buy this comic. Not only will you be getting yourself $2.99 of great entertainment, but helping to make sure this comic continues to be published. Plus, you can witness the birth of Loki’s new nickname: Hipster Viking. 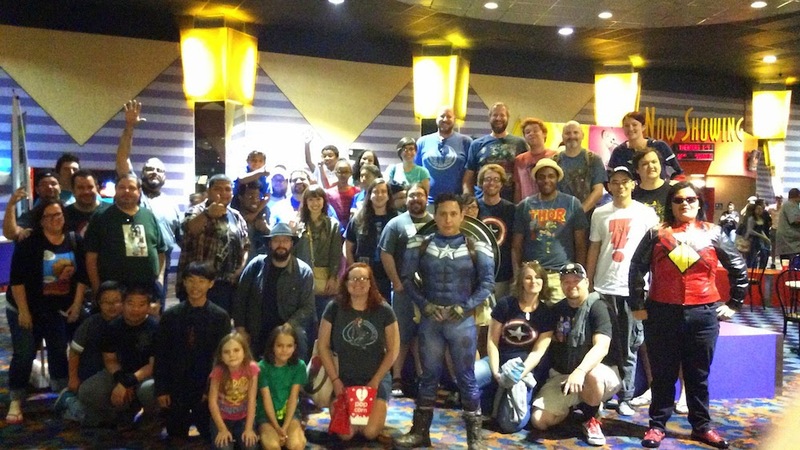 We watched Avengers: Age of Ultron. Then we rushed back to the store to talk about it. 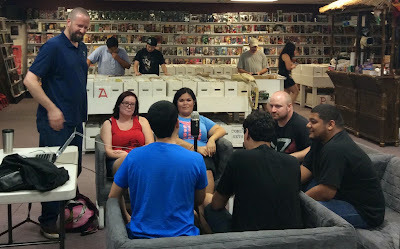 Some of our favorite patrons gather around the microphone, including Patrick, Alana, Joey, and Kris. Bringing together two big characters or ideas can work out really well. You can end up with your classics, like Batman and Superman, pizza and beer, or cats and the internet. On the other hand, you can get something like Rob Liefeld and drawing or orange juice after brushing your teeth. As a fan of the original Robert Howard Conan stories, and the classic Marvel comics from the 70s and 80s (especially Buscema’s run), I was a little apprehensive about “Conan Red Sonja” by Jim Zub and Gail Simone. I didn’t really know anything about Red Sonja and had never read anything by Simone. I ended up buying the first issue based solely on my love of Conan and Zub’s great track record with fantasy and action (Skullkickers and Wayward are two of the best books out right now). Despite a couple of small qualms with the art, I’m glad I gave this a shot. 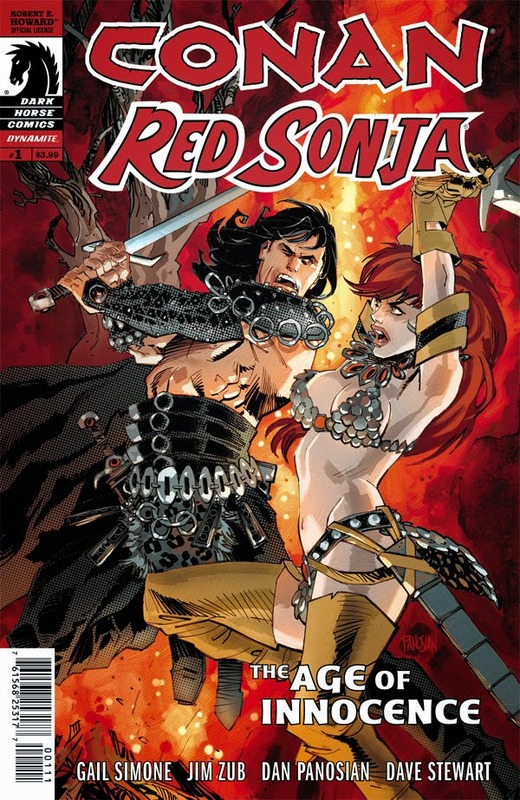 Instead of trying to shoehorn the series (planned as a 4-issue mini) into the current Conan or Red Sonja runs, the title acts as a first act for the characters: both are experienced and have more than a few heists and fights under their belt, but have yet to reach legendary status in the Hyborian Age. While normally I would roll my eyes at yet another origin story for yet another established character, Zub and Simone wisely dispense with all of that. They know that if you’re reading this book, you probably already have a pretty good idea of who they are. If not, all the info you need is given to you as the story progresses*. The plot of the first issue is nothing spectacular, but it doesn’t need to be. This issue is all about getting the characters together, introducing the evil plot they’ll eventually have to stop and getting them to fight. What shines though is the overall tone and feel Zub and Simone along with the artists Dan Panosian and Dave Stewart set. From the opening and closing narration, to the little details, like the off-white tint to the gutters, almost everything about this book feels like a classic, well-loved Robert Howard story. Zub and Simone’s characterization of the title characters feels fresh and a bit familiar at the same time. The “almost” I mentioned comes to a couple nit-picks about the art. For the most part, I like it. Panosian and Stewart mix into something like a combination of Francis Manapul and Sean Murphy. Not as smooth as Manapul, not as sketchy as Murphy. It is mostly a winning combination. I only have two qualms. One is Conan’s face. In my opinion, Conan is rugged, blocky, not-quite-handsome, but not an ugly guy. He can get the ladies when he wants, but he’s no Dwayne Johnson or Chris Hemsworth. Panosian’s pencils make Conan look too pretty, as if Christopher Reeve packed on some serious muscle, or Gaston moonlighted as a barbarian before meeting Belle. The other qualm (as tiny as it is), is Sonja’s lips. It seemed like every other facial expression she had involved slightly pouting her lips like a cover model. Again, these are relatively minor problems I had. Nothing to not buy the book over. Everything else about the art (character design, coloring, the fighting), I loved. If you want more, just check out the original Robert Howard stories from your local library. They’re quick to read and fun. 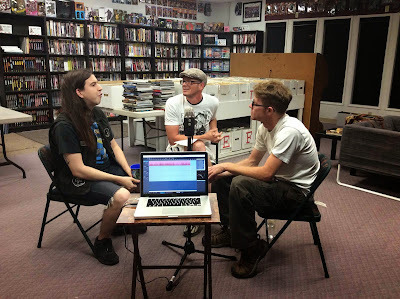 Guest host Jake DeSersa and his Podcasting Avengers, Patrick Clarke and Tony Asaro, discuss Avengers 2, Netflix' Daredevil, and Free Comic Book Day. Subscribe via iTunes or Stitcher Radio. 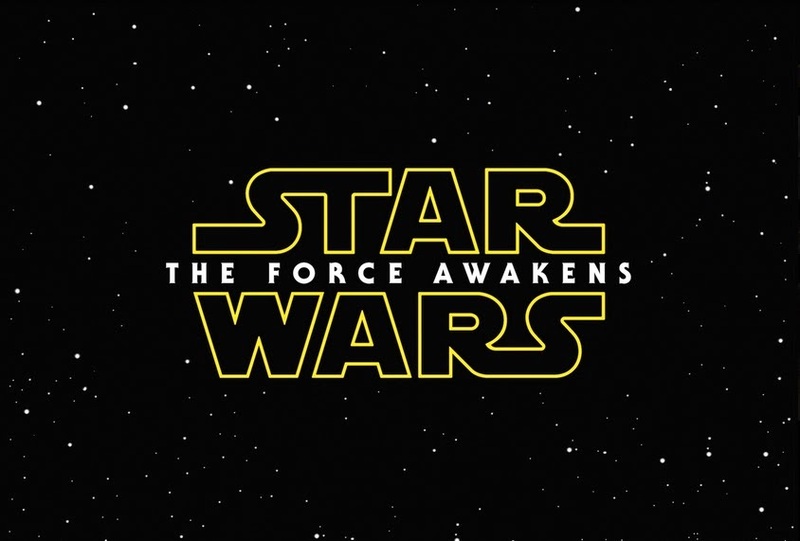 Ben and Jake sit down to gush over the new Star Wars trailer 2. This is what it sounds like.